Since the early 80’s, Animal Pak has helped competitive bodybuilders—both elite and amateur— get the most out of their rigorous training routines by providing all the essential nutrition that they need to take their training and prep to a freakish level. For 25 straight years, Animal Pak has been the #1 selling training “pack” in the world — fact. As it happens, more competitive bodybuilders have used Animal Pak than any other bodybuilding supplement in history of supplements. Why? Because Animal Pak gets the job done. It works. First time. Every time. Just look at their track-record — Animal Pak has stood the test of time. 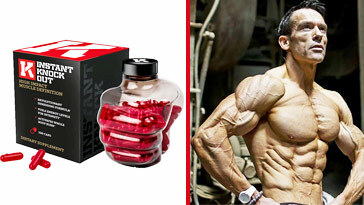 Animal Pak is a Multi-Vitamin stack which is manufactured by Universal. It’s designed to help provide the body with a huge variety of nutrients essential for optimal health. 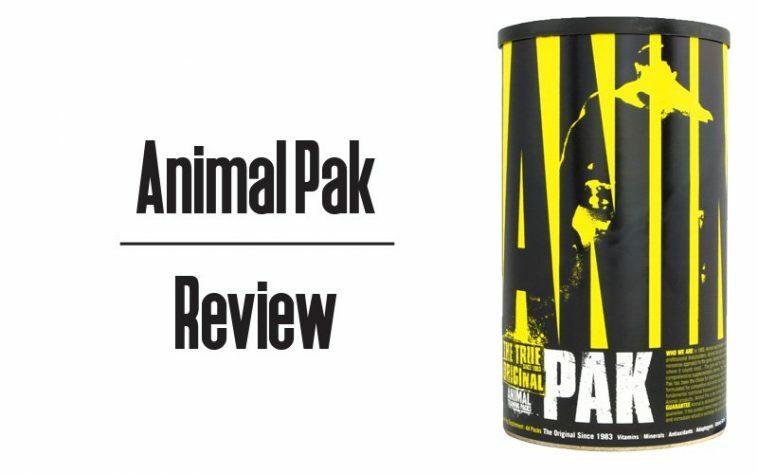 Animal Pak comes in a large tin with 44 individually wrapped packets of pure legacy. With each packet containing 11 pills that delivers various nutritients like minerals, vitamins, amino acids, probiotics, digestive enzymes, and antioxadents. 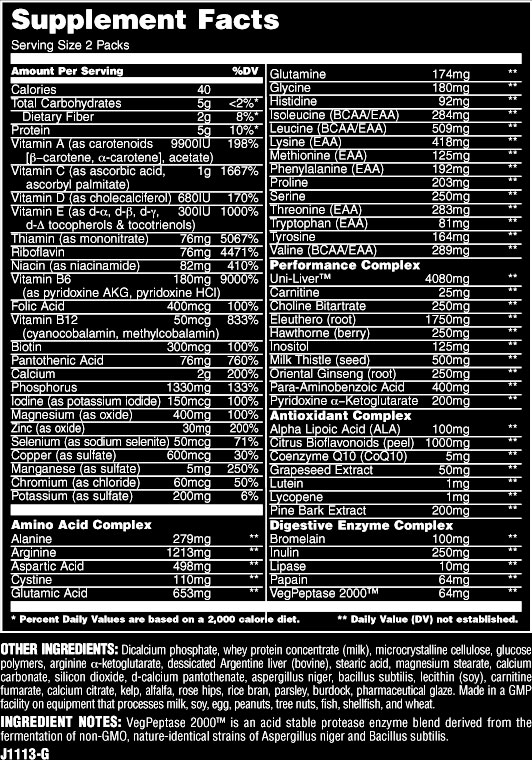 There are way too many ingredients to type down, so instead, have a look at the supplement facts label of Animal Pak. The below are numbers for 2 packets — which is not the recommended amount when your not competing. How Does Animal Pak Work? Well, first off, it’s a multi-vitamin. Secondly, it delivers the goods to your system by ingesting those 11 pills. With all of its ingredients you’re sure to get a kick out of it. Some have even reportedly said that when on Animal Pak, they feel like they could wrestle a bear, and then some. The biggest downside to taking Animal Pak, is the size of some pills. It could be just like swallowing a Beats Pill. All the best. Should You Take Animal Pak? If you’re currently using a multi-vitamin supplement and you feel like it’s doing f*ckall in improving your training or how you feel, then yes. 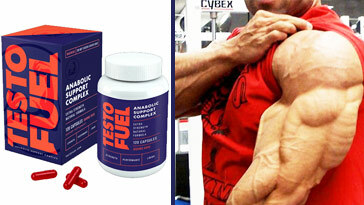 If you’re competing or you just like to train hard, then yes, you should use Animal Pak. 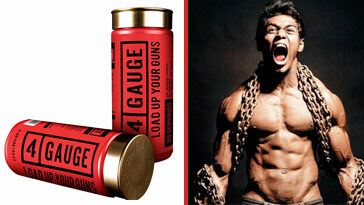 It’s not really a question of “will it work”, it’s a question of “how hard can I work” when using Animal Pak. And as mentioned above, some pills are uncomfortably big, and they taste like a horse stable smells. But at least Animal Pak is a working product. So regardless of taste, it works. First time. Every time. If you purchase via our links, we may receive a referral fee.